Certainly, the main attraction of the XPG Spectrix D40 kit is the RGB lighting strips dominating the top edge of each stick, and while they do look nice, they lack any form of synchronisation. Almost immediately after setting an effect, the individual sticks would seem to go off at random intervals, somewhat spoiling the appearance. Only a solid colour would remedy this, even with the software running. The sticks look good with the black and red heat spreader, which also performed well, never allowing the memory to get hot, even during our overclocking tests. Despite finishing bottom in most of our tests, the fact still remains that those numbers are all just synthetic benchmarks, disregarding the gaming performance. The 2400MHz kit will feel the same as a 4000MHz set in almost all day-to-day tasks unless you require the absolute best performance or game at very high framerates and can't afford the bottleneck. Overclocking, as XPG told us to expect, was amazing. We got 600MHz extra from our 4 sticks, improving results drastically with no noticeable increase in heat. If you were brave and stuck a little extra voltage into it, say 1.4v or possibly 1.45v, we feel 3200MHz would easily be possible. Priced at £329 in the UK, for 32GB of RGB DDR4 memory, we feel the value is pretty decent at this moment in time, but RAM prices are so volatile that it’s genuinely difficult to recommend any price at the moment. 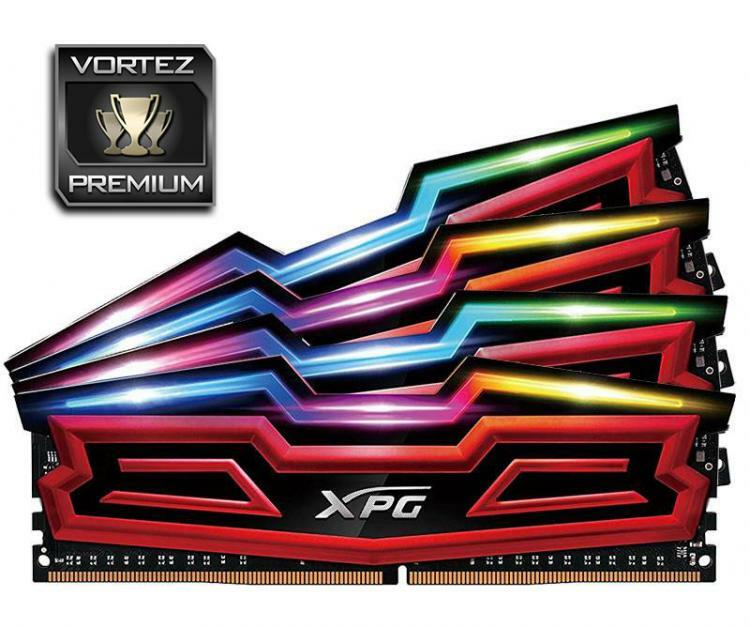 If you’re after a decent quality set of RGB DDR4 RAM that won’t make your wallet cry, the XPG Spectrix D40 should definitely be considered.